Elk Grove has been threatened with a law suit for almost a year now. 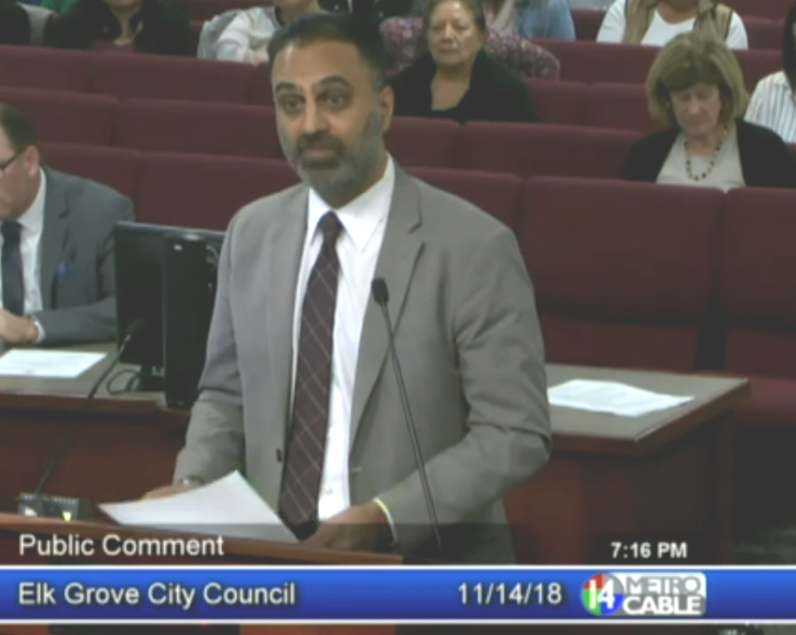 If Mr. Shergill was right that law suit would have been filed in June, July, August especially before the November election. Elk Grove elections of council members are different than the the cities that are losing. Those cities have an at large voting system which actually harms minorities running for office an minorities being represented. In Elk Grove minorities are living in all the districts without a concentration of any minority group in any one of the districts. So even under by District voting the outcome would be the same. This issue is being driven by party politics. It doesn’t take much time to find out that the Democratic Party is pushing this as one of their platform items. Election is over an no election until 2020. In 2020 there will be a census it has widely been talked about after the census that Elk Grove may need to discuss changes. So way now? Why keep pushing the issue? There are no elections. If Mr. Shergill is successful is that a feather in his cap being an executive officer in the Sacramento Democratic Party. Is he looking to become an elected official or just a power player to raise his value in the Democratic Party. There is absolutely no reason right now for this. We need to be talking about issues that affect Elk Grove, traffic, jobs, security, as well as other things dealing with city issues. Maybe EGN should investigate the reason why this issue is being pushed by the Democratic Party. I know enough that if Elk Grove was in violation of a state law the law suit would have already been filed. One last thing unless a law suit is filed this is just away of bullying people in being scared. I got news for you I am not scared an as you know I will stand up against anyone who tries to bully their political choices an threaten our current system. I say file the law suit or sit down an shut up! Being a bully is not going to work!